Experience the beauty of the Canadian Rockies, with its backdrop of the glistening Victoria Glacier, on a full-day guided coach tour from Banff. 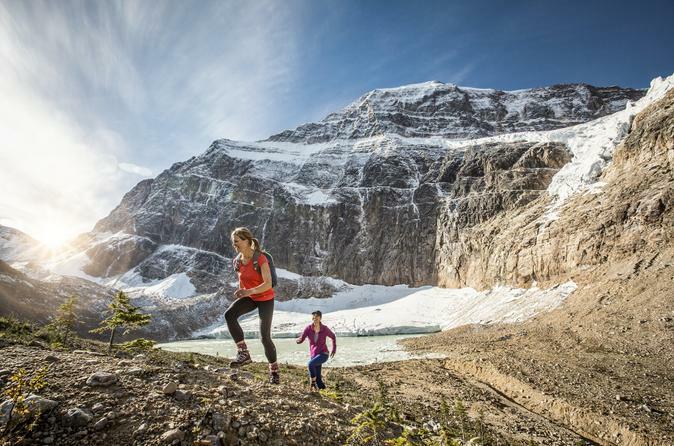 Marvel at Lake Louise, the jewel of the Canadian Rockies, and see the reflecting Ten Peaks. You'll also visit scenic Yoho Valley and see Takakkaw Falls, Kicking Horse Pass and Spiral Tunnels. Wildlife lovers and nature enthusiasts, this small-group safari in Banff is for you. On this 2-hour wildlife tour, explore a variety of Banff's beautiful landscapes in the evening, giving you the best chance to observe animals in their natural environment. 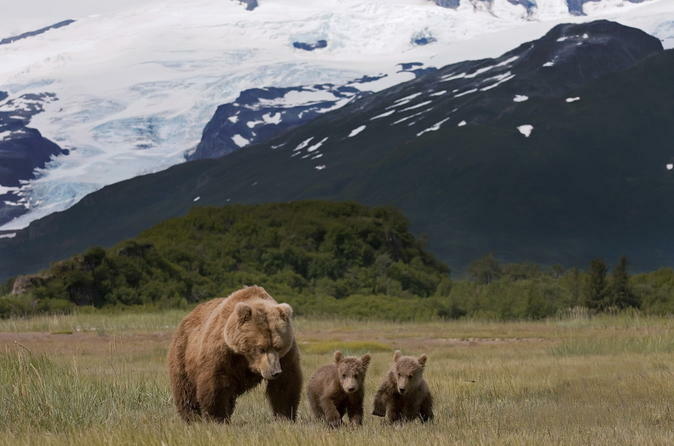 Your knowledgeable guide will teach you how Alaska's national parks strive to protect animals and their habitat. Discover the Canadian Rockies' favorite resort town and its beautiful environment on a 4-hour guided tour of Banff. 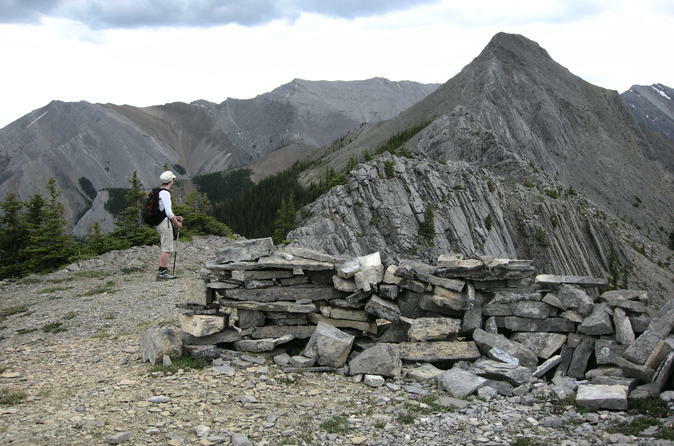 You'll visit the intriguing hoodoos earth pillars shaped by centuries of wind, then spot where Banff's history began. 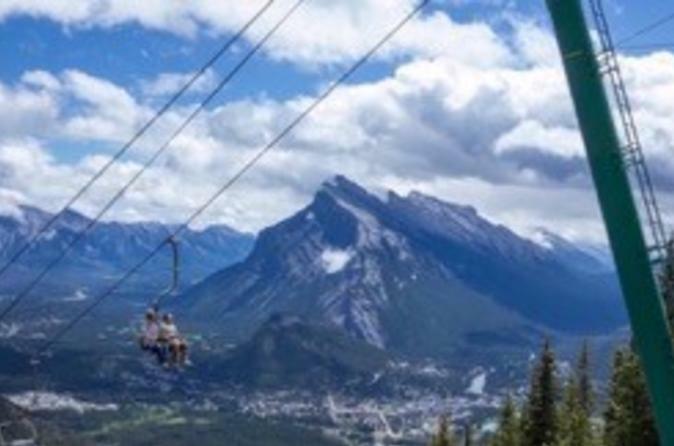 Ride up Sulphur Mountain on the Banff Gondola, and enhance your experience with a Lake Minnewanka cruise (if you choose the upgrade option). Hotel pickup is included. 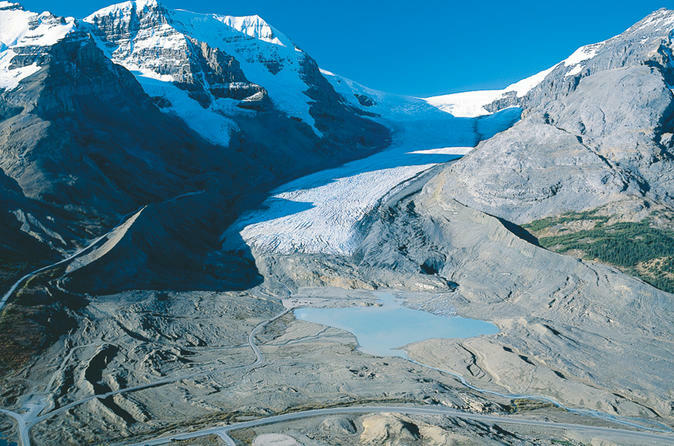 Visit Canada's famous glaciers on a full-day seasonal excursion from Banff. Your personalized small group tour takes you through an awe-inspiring landscape carved by glaciers and remnants from the last ice age, as you travel along the Icefields Parkway, one of the world's most scenic highways. 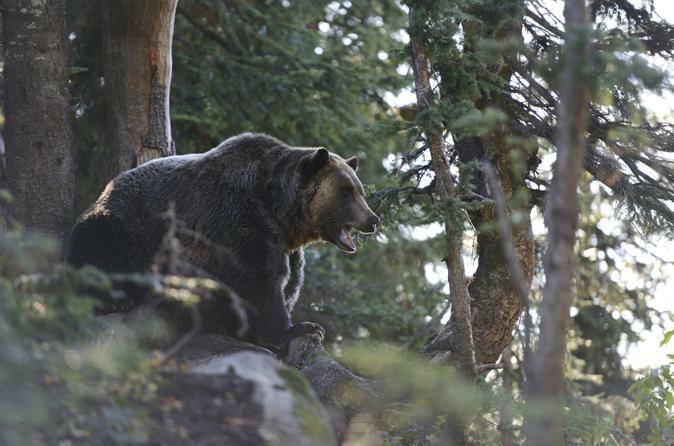 Animal lovers, don't miss your chance to discover the grizzly bear! Leaving Banff behind, you'll take a ride in a gondola for a great view of grizzly country, then visit the grizzly refuge where you can observe an orphaned grizzly bear as it romps and plays in a natural bear habitat. Discover glorious Banff in the summertime on a 3-hour tour. Visit famous landmarks and historic places with your local guide. This small-group tour allows ample time to take photos and participate in short walks. 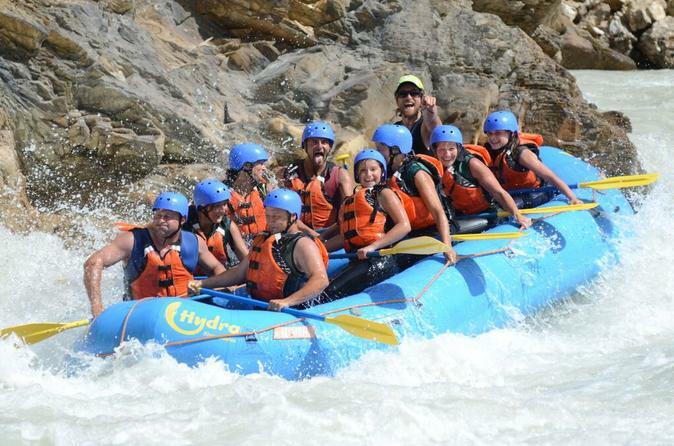 Whitewater rafting is the ultimate summer outdoor activity and the Kicking Horse River is the best river in the Canadian Rockies! With your transport included, embark in 2 - 2.5 hours of upper canyon rafting on a half day trip from Banff, before heading back to enjoy a delicious BBQ lunch. Please note: This trip is catered to participants 12 years and up. 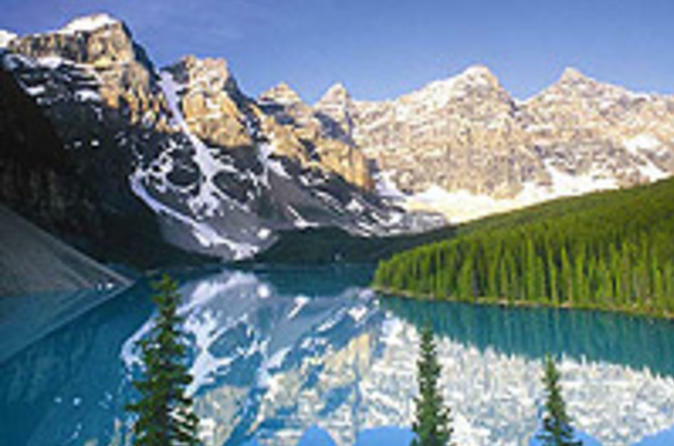 Come and discover beautiful Lake Louise and the world renowned Moraine Lake at their very best! Listed as UNESCO World Heritage sites, there will be plenty of photo opportunities on this half day, small-group tour. Learn about the mountaineering history and how a tragic accident shaped Canadian mountain culture. 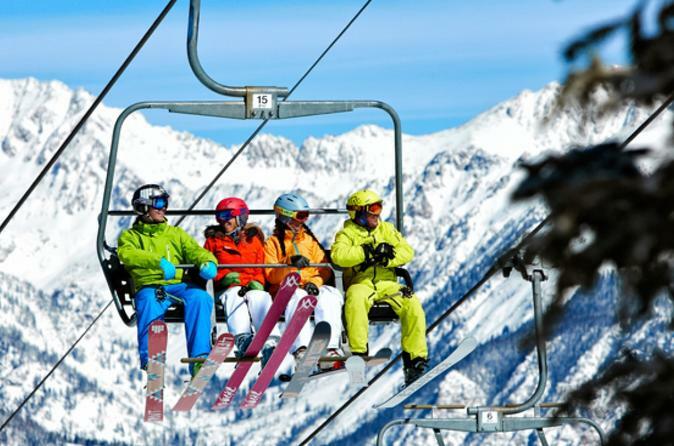 Cruise for 14 glorious minutes in an open chair or a fully enclosed gondola. The Lake Louise Gondola is one of the best places on earth to see wild grizzly bears in their natural environment. With almost daily sightings, treat yourself to this rare and awesome spectacle of nature. Enjoy views of the Canadian Rockies landscape as you travel by covered wagon or horseback from Banff along the Bow River and Sulphur Mountain with your guide. Then, dine on a hearty Western cookout and try your hand at roping or playing horseshoes. This tour is a great way to experience Alberta’s great outdoors. 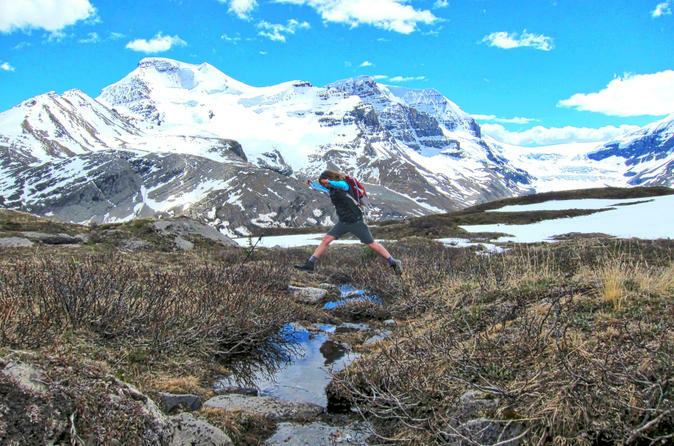 Get out in Canada’s crisp mountain air on one of these four iconic hikes in the Banff and Lake Louise areas of Alberta. The Canadian Rockies offer a dramatic backdrop to explore some of North America’s most spectacular hikes, for varying levels and abilities. Trek to classic locations and see spectacular views of Peyto Lake's otherworldly blue hues. 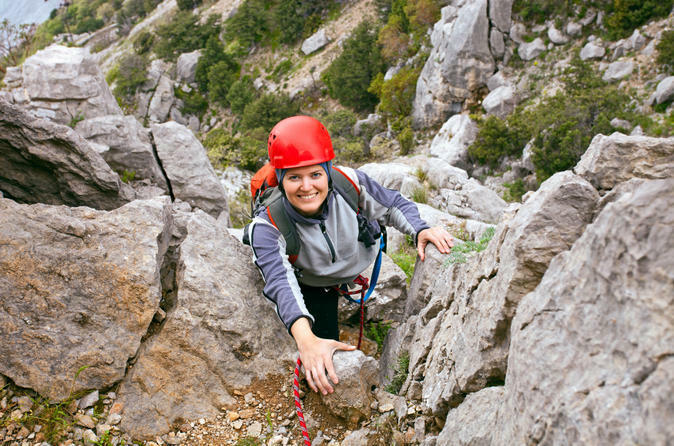 Share your passion for the mountains with the local, enthusiastic guides. Explore the Larch Valley, Stanley Glacier, Kootenay National Park Trails or the Plain of Six Glaciers. 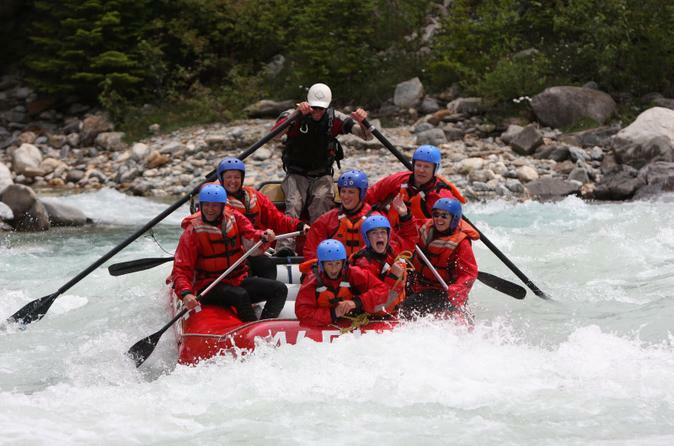 Enjoy a beautiful day rafting down the picturesque Kananaskis River in Alberta, Canada. This day trip from Banff or Canmore will get you into a raft and cruising down the turquoise waters of the Kananaskis, one of Alberta’s most pristine waterways. 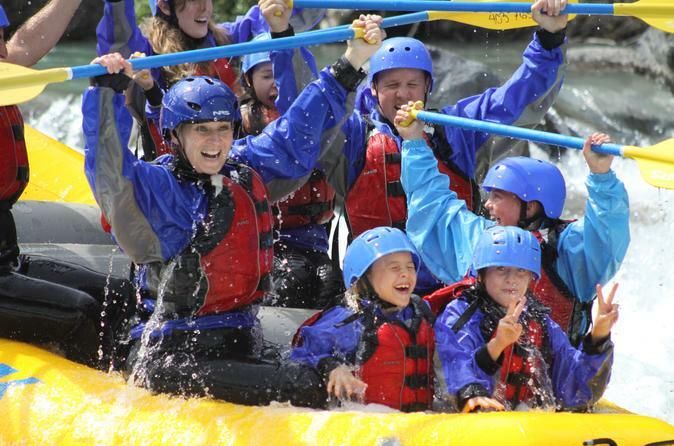 This excursion is an ideal introduction to the thrill of white-water rafting, great for families or groups. Spot local wildlife and soak up Canada’s unparalleled beauty as you cruise down this beautiful river. Includes hotel pickup and drop-off. This one-way tour from Banff to Jasper takes you through some of the most spectacular mountain landscapes in North America. Following the spine of the Canadian Rockies, view a never-ending procession of mammoth mountains, jagged snowy peaks and numerous glaciers. 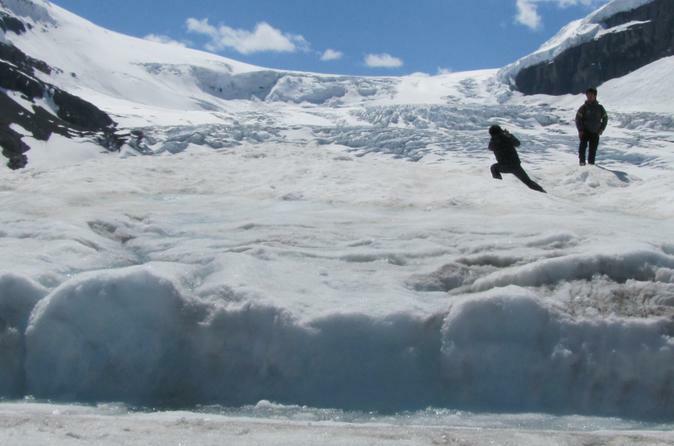 Stop at the Columbia Icefield to experience the Glacier SkyWalk, Glacier Adventure or both! 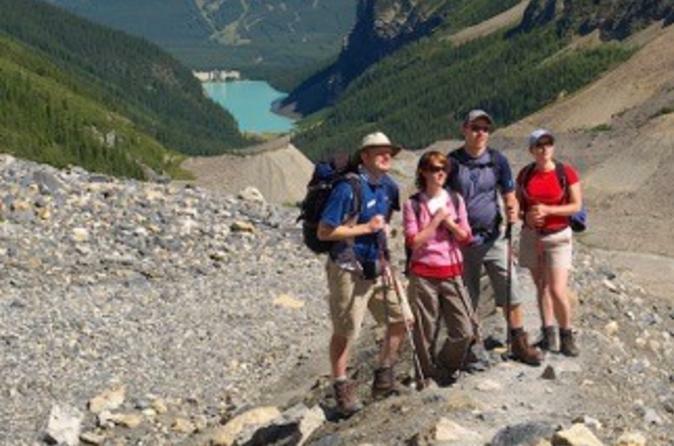 Join this small-group Banff guided tour and hike on steel walkways which have been built into the canyon walls. 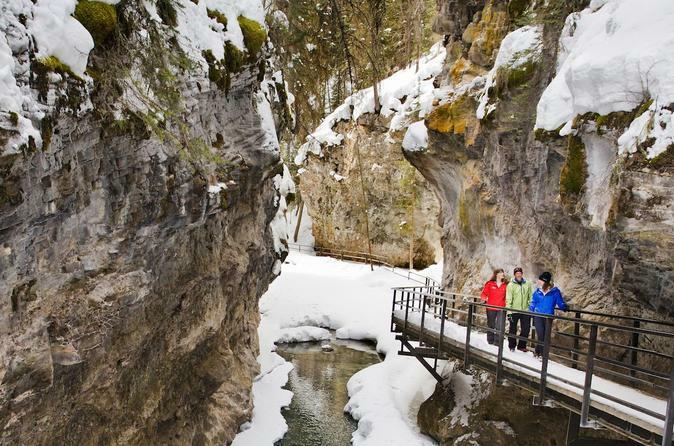 Travel through prime wildlife habitat and learn how Johnston Canyon was formed. You'll be led past lower falls and end up at breathtaking upper icefalls. 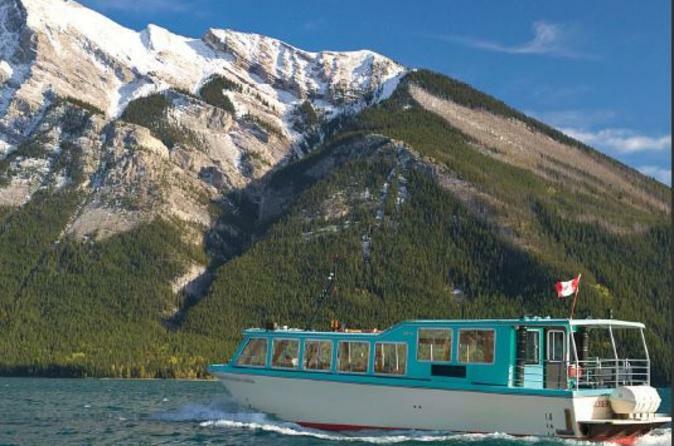 Enjoy majestic views of the Canadian Rockies while cruising beautiful Lake Minnewanka on this panoramic 1-hour interpretive cruise. Learn Native folklore while scanning the lake shore for big-horned sheep, deer, bald eagle and even the occasional bear. Cruise over to Devil's Gap for incredible views of the Prairies and surrounding mountains. 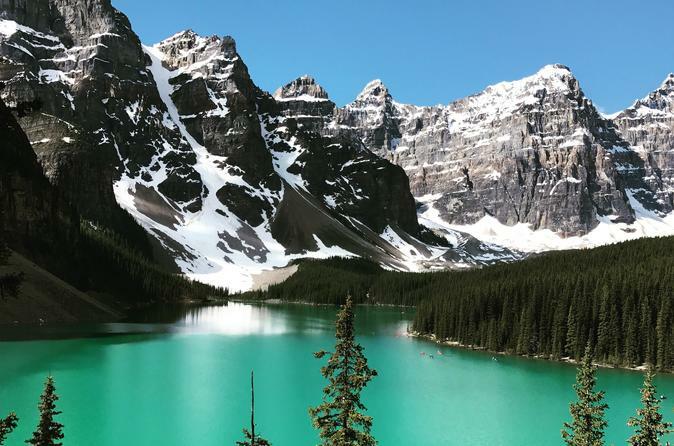 Banff National Park is Canada’s oldest and most celebrated national park — and one worth getting out of the car and onto a trail for. 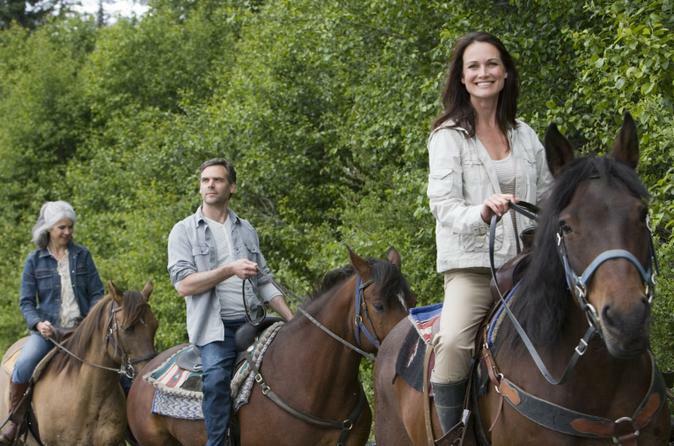 Go back to a simpler time with a 1-hour or 2-hour horseback ride and experience the park at a relaxed pace. Led by your cowboy guide, saddle up and ride past natural sulfur springs and along the gentle Bow River, and get a feel for what it was like for pioneers first settling in this once-wild area. 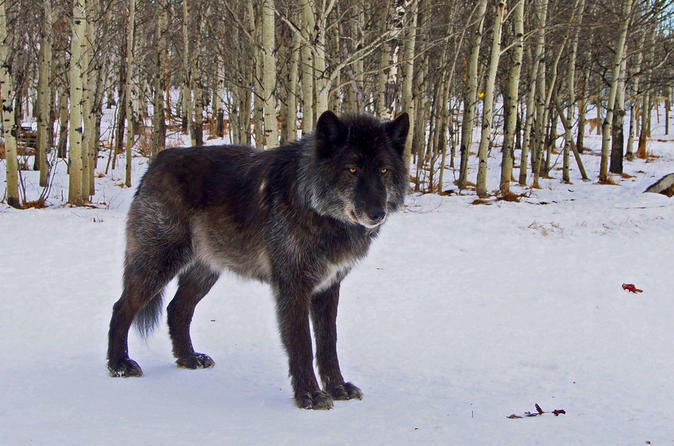 Yamnuska Wolfdog Sanctuary welcomes visitors to come see its beautiful wolfdogs and learn all about them. This 45-minute tour provides a closeup and intimate look at wolf-dogs. During your visit, you will gain a better understanding about wild wolves and their importance in the natural environment. Enjoy 360 degree winter views of the Canadian Rocky Mountains as you ride an 8-passenger gondola and take in the breathtaking views of Banff National Park. 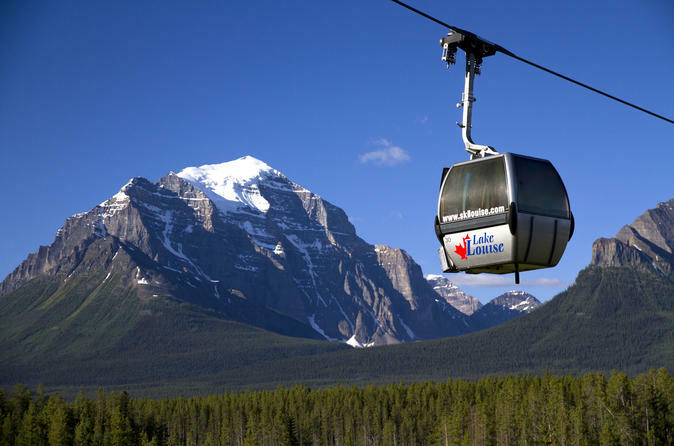 The Banff Sunshine Gondola will carry you 4.6 km from our base area to our village area. On the gondola ride, you will gain a vertical rise of 504 m (1,653 ft.). At the village, continue on up the mountain and ride the Mount Standish Chairlift that will take you to the top of Mt. Standish. 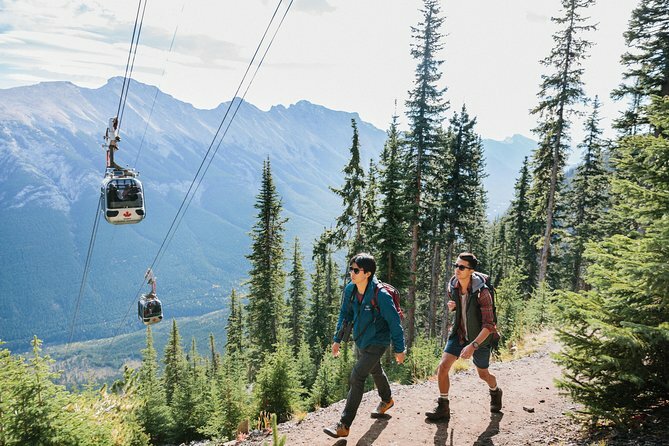 Experience your surroundings from the highest sightseeing elevation in the Banff and Lake Louise area at 7,875ft (2,400m). Winter views of the three high-alpine lakes and jaw dropping view of Mt. 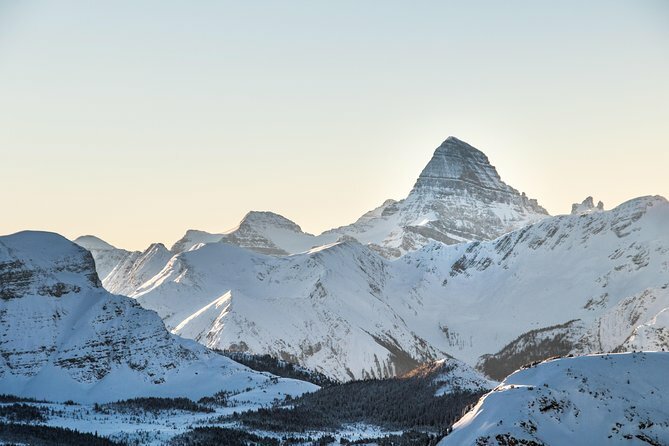 Assiniboine, "the Matterhorn of the Canadian Rockies". Don't waste another minute waiting in line at the rental shops. 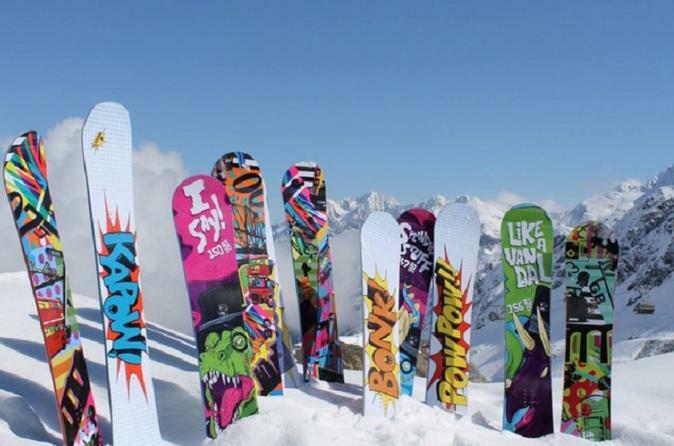 Place your order for skis, snowboards, boots and helmets before you arrive! Just pick a time that’s convenient for you and you'll have a custom fitting in your hotel room, condo or vacation home. This package is for beginner level boarders. If you are a more experience rider or if you simply want to be on the highest quality gear, please select the Premium Snowboard Package. 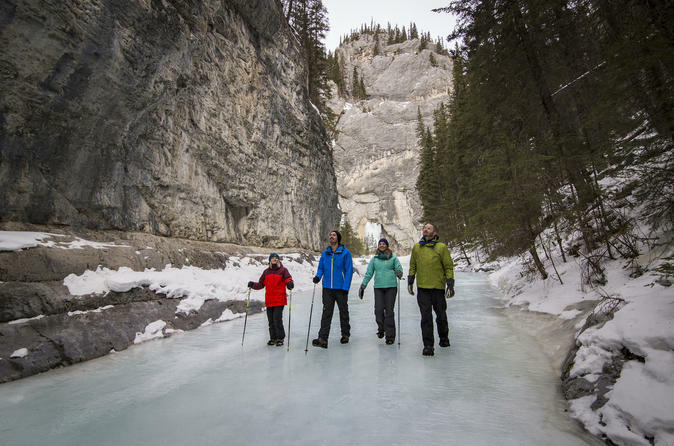 Walk on a frozen creek through Grotto Canyon, past unusual rock formations, ancient native rock art, and icefalls. Escorted by a specialist guide, this small-group tour offers an unforgettable personalized sightseeing experience! 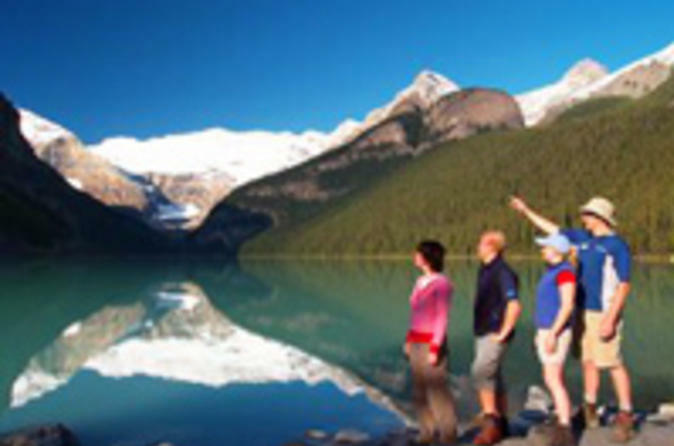 Private small group SUV Tour of the Banff area, Lake Louise and the Icefield Parkway for up to 5 guests. 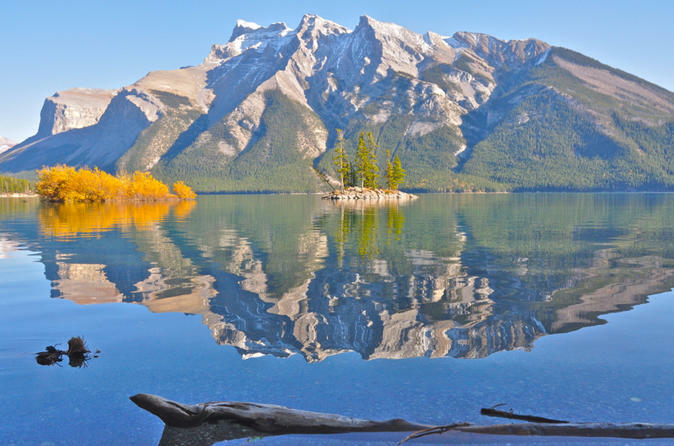 Stops include; Lake Minnewanka, Norquay Lookout, Bow Falls, Bow Valley Parkway, Lake Louise, Moraine Lake, Crowfoot Glacier, Bow Lake and Peyto Lake. 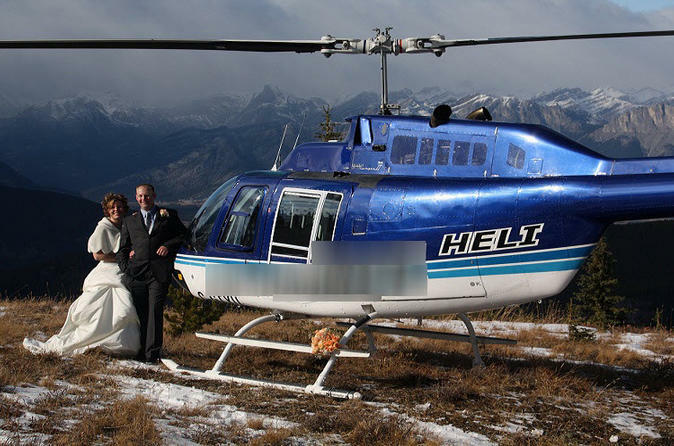 Customizable itinerary and start times, free pickup in Canmore, Banff, Lake Louise and Golden. Explore the breathtaking Canadian Rockies on this horseback-riding tour in Banff. 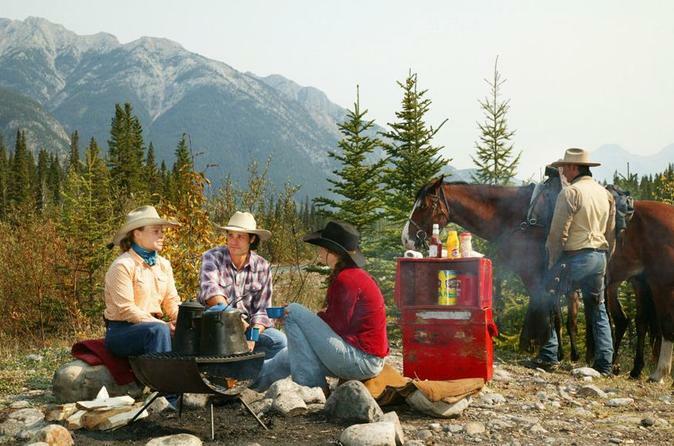 Following your cowboy guide, journey into the Spray River Valley and past Mt Rundle or Sulphur Mountain, and break to enjoy a Western cookout lunch. 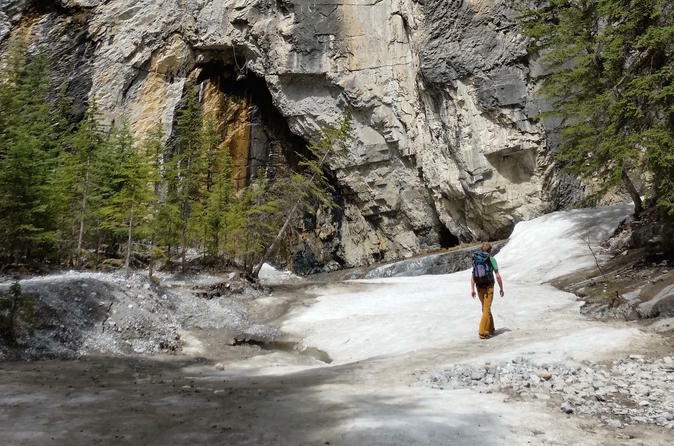 Hike through a water sculpted canyon in the heart of the Canadian Rockies in Canmore, Alberta, below the towering Grotto Mountain. Experience a family friendly, small group adventure that explores pictographs, waterfalls and interesting rock formations such as Hoodoos. This 4-hour, guided tour includes a snack and an interpretive component. 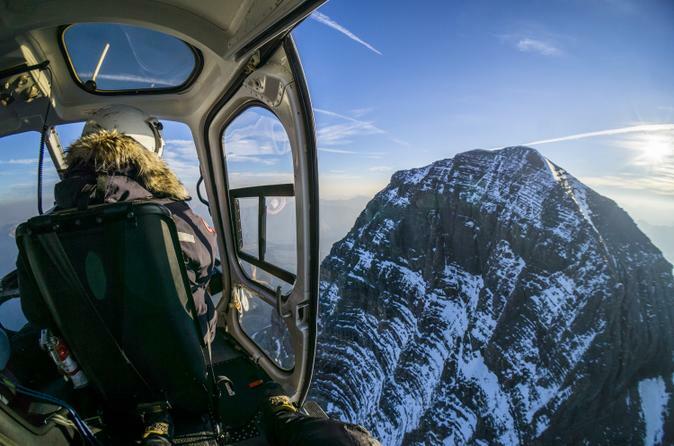 Take in the dramatic beauty of the Canadian Rockies on this 30-minute helicopter flight from Banff. Snap aerial shots of the most recognized peaks in the area, including Three Sisters, Grotto Mountain, Mount Charles Stewart, and Devil's Gap at Lake Minnewanka ("Water of the Spirits" in Nakoda language"). 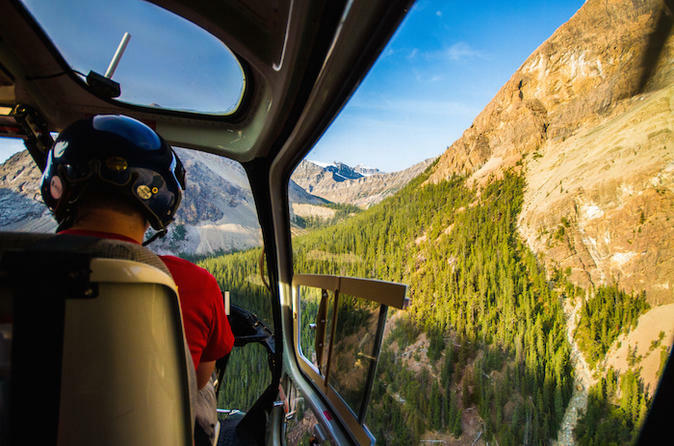 Admire a glacial lake winding through eastern Banff National Park, and listen to informative commentary on the sights from an experienced pilot. Hotel transport is included. Prepare for a real rustic Alberta mountain adventure at Boundary Ranch! 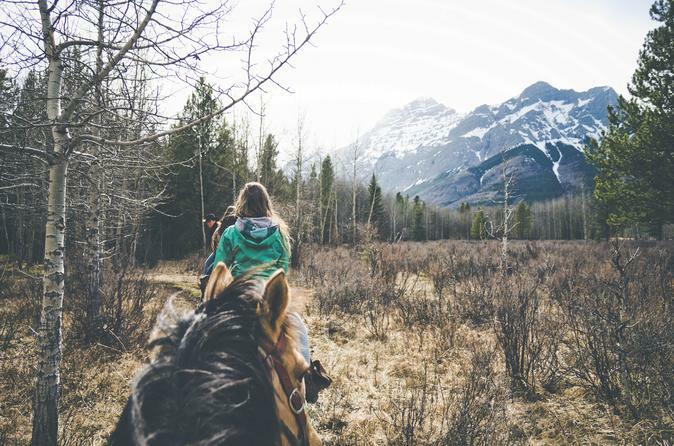 Discover the breathtaking scenery of the Kananaskis Valley on horseback along the 1-hour Lodgepole Loop. Journey into remote boreal forests and enjoy the serenity of the backcountry with friendly and professional guides. 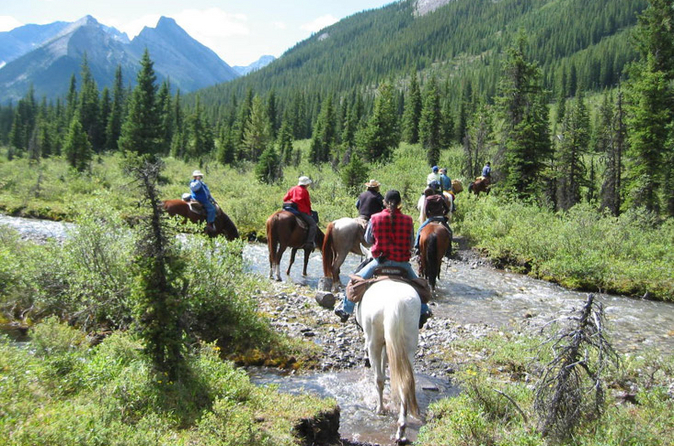 Trail rides are suitable for riders of any level, and no previous experience is required. Capture the beauty of the Canadian Rockies on camera on this flexible-length Banff mountain photography session. Explore the streets and parks of Banff with a guide and snap stunning views over the natural scenery you find. Alternatively, hop on public transport (own expense) and head out of the city into the Canadian wilderness for more natural shots. Along the way, hear hints and tips on how to get the most out of your shots. Tap into your sense of adventure in Banff, Alberta, with the Via Ferrata experience, an activity that lets you climb to unprecedented heights. Via ferrata is Italian for ‘iron road,’ and Banff’s Via Ferrata is just that: a protected climbing route that allows novice and expert climbers alike to ascend a mountain by way of a steel cable that is fixed to the rock. And scenic Banff is the perfect place to try this technique. This is a fun, safe and adventurous way to get out of your comfort zone and experience the thrill of the mountains. This incredible journey from Lake Louise to Jasper takes you through some of the most amazing mountain landscapes Canada has to offer. Admire a never-ending procession of towering mountains, rugged snowy peaks and glaciers as you travel along the edge of the Canadian Rockies, making several sightseeing stops along the way. 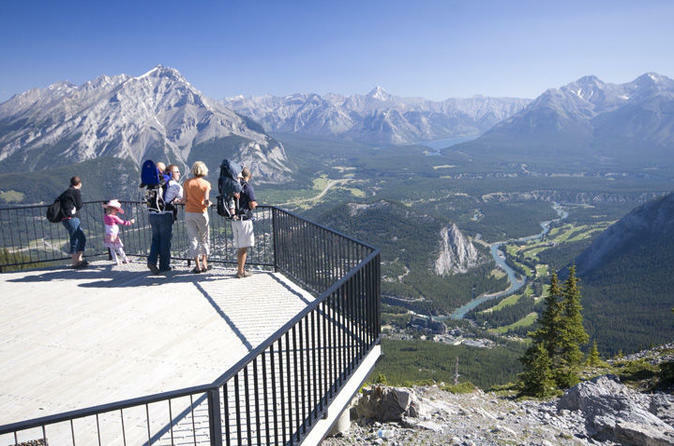 See Banff from a new view! Take a 15 minute chairlift ride at Banff Mt Norquay and experience Banff like never before. Enjoy spectacular views looking down into the town of Banff and across Spray and Bow Valleys with the stunning jagged edges of Mt Rundle. Explore the wilderness of Kananaskis Country, Alberta, a little known gem near Banff National Park. Enjoy classic Rocky Mountain vistas, geology, geography, flora, fauna and history while hiking through wild wilderness. Looking for something off the beaten path? This is it. Specific hikes vary depending on weather, wildlife and seasons. Hikes include a lunch and local guide.